In a recent topic on NeoGAF on the discussion of Dead or Alive 5 it was revealed that code in the demo version contains information that Sarah Bryant and Pai Chan will be featured in the upcoming release, along with the recently announced inclusion of Akira Yuki. The only assets available are that each character will have six costumes to choose from. Models, textures or sound clips are not featured in the leak, but this is likely the full playable cast. 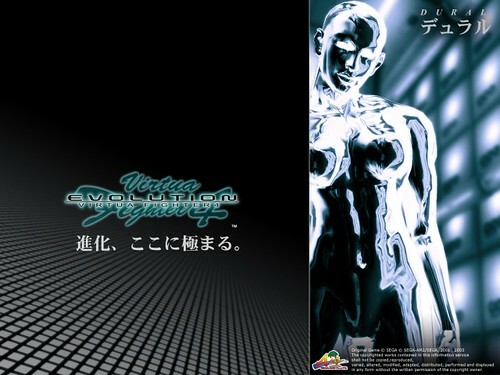 Although as he is no longer with the publisher, Tomonobu Itagaki the creator of the franchise had stated in the past that Pai and Sarah were his favorite characters from the Virtua Fighter series and that he cites the franchise as direct inspiration for Dead or Alive. Additionally, a deal has been met that will find SEGA themselves as the publisher of Dead or Alive 5 in European territories. The full game will be released this September on Xbox 360 and PlayStation 3. We have included the full list discovered within the code after the break. 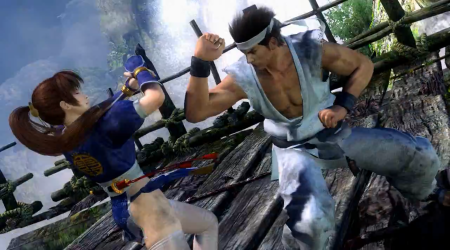 It was revealed in the latest trailer for Tecmo’s long-running Dead or Alive series that Virtua Fighter character and series mascot Akira Yuki will join the cast of Dead or Alive 5 as a guest character. Series creator and former Team Ninja head Tomonobu Itagaki has often cited the Virtua Fighter series as a major influence on his games, and has expressed interest in a crossover between the two series for several years. Recent interviews with Team Ninja staff have also mentioned a huge amount of praise for the franchise. 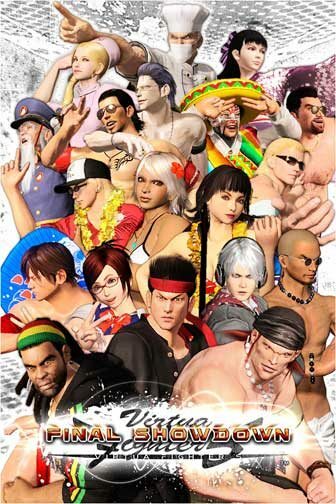 It is unknown if another Virtua Fighter character will appear in the title, but the series is known for having two or more partner characters for players to team up with in Tag Team mode. Dead or Alive 5 has no specific release date, but Tecmo has announced that they are committed to launching it sometime within 2012. Check out the gameplay trailer and reveal after the break. The long rumored release of a home version of Virtua Fighter 5: Final Showdown has been announced by SEGA today. 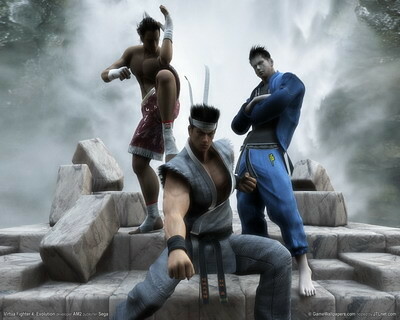 Virtua Fighter 5 was released in 2006 and 2007 on PlayStation 3 and Xbox 360 respectfully, but arcade versions of the game continued to expand with new characters, new music, new levels, gameplay functions, customization tools for the users, among other upgraded or altered features. This made a simple patch to the original game largely impossible. SEGA expects to have the game ready for the Xbox 360’s Xbox Live Arcade and PlayStation 3’s PlayStation Network services downloadable sometime in summer of 2012. Hit the jump for the announcement trailer and press release. Virtua Fighter 2 is the 1994 sequel to Virtua Fighter, a long-running series of 3D fighting games created by SEGA-AM2 under the supervision of highly influential producer and director Yu Suzuki. Originally released in arcades running on SEGA’s Model 2 system board, the game was later brought over to other platforms, including the SEGA Saturn, Windows, and was also included as part of the SEGA AGES 2500 series released on the PlayStation 2. The music of Virtua Fighter 2 draws from a very diverse collection of influences and styles, ranging from traditional Eastern music, heavy guitar driven rock, keyboard and synth laden overtures, and jazz-inspired instrumentation — sometimes all within the course of the same song. This time we’ll be taking a look at the theme of Japanese fighter and mascot of the Virtua Fighter series, Akira Yuki. SEGA Ventures is a series at The SEGA Source where one of the members plays through a SEGA game that is longer than just a few hours long, giving a summary of our thoughts along the way in a three part set of articles, a diary of sorts. This time we will be sitting down with Virtua Fighter 4: Evolution, the 2003 upgrade of the 2001/2002 arcade and PlayStation 2 release of Virtua Fighter 4. How ‘Bout A Warm Up? Come On! With newly found belief that I would finally be able to beat Quest mode after all these years of not bothering to try, I had set aside a few days to myself to accomplish just that. My mind was made on finishing off my playthrough with Sarah as I felt I had progressed the most with her. I was still not that great of a player overall, so before I moved on to finish Quest with her, I figured it would be best to try a new style again, hopefully learning more like I did with Wolf. I decided to first choose Goh, who is more about grapples than even Wolf himself. Almost all of his combination attacks are with when you have your enemy pinned on the ground. It is something I was certainly not good with and he could easily be my least played character in the whole franchise, so it was going to be tough for sure, but I was ready.